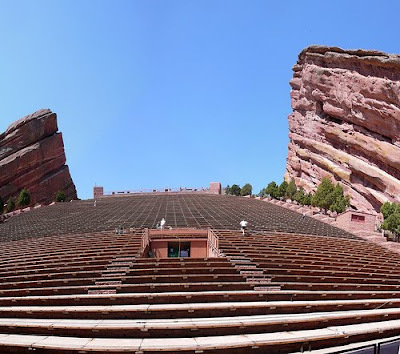 Venue opens at 2:00 today.....opening act at 2:30.....Widespread at 4:00. Can't wait! 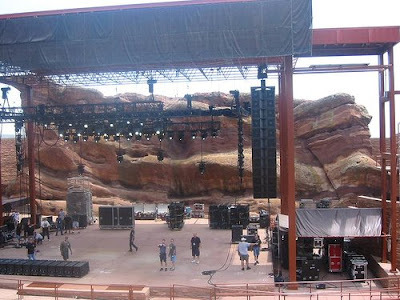 A few pictures of Red Rocks that I will not be taking because the site insists that no cameras are allowed. So, we're leaving the good one at home and taking the pocket sized. Was reading "5280's Top of the Town" this morning. 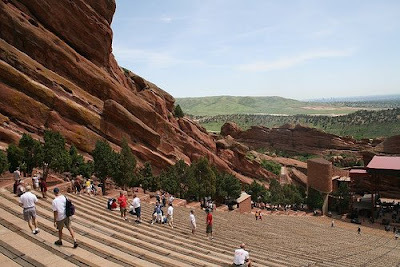 5280 is the magazine for all things Denver. The "Top of the Town" provides a list of the best of everything in the city, from eating to shopping to outdoor activities. Each result is detailed with an editor's choice and the readers' choice, then a brief summary of why. 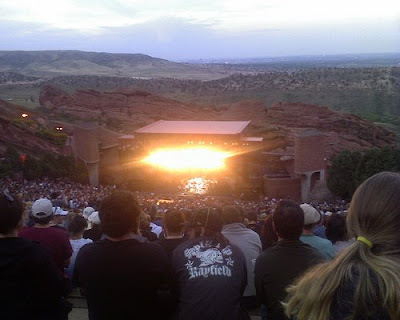 For "Best Place to see Live Music", Red Rocks won for both editor and reader. Description read simply "Duh." And, to all of our readers who loved college bands and have retired that love since they hit their 30's.....nope, still not over it. Nothing like a good live concert. Pay no attention to the fact that we'll be twice the age of some listeners today!